What’s a Piperoid, you ask? 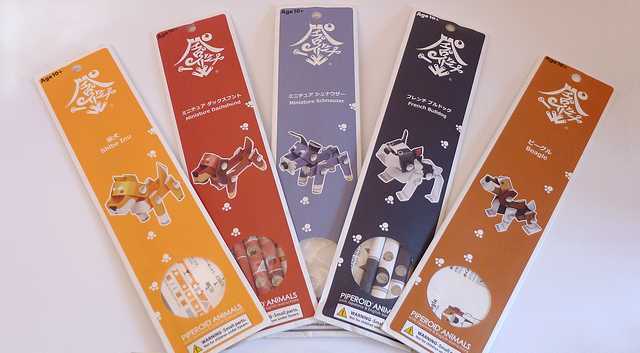 Why, they are the adorable, Japanese paper dogs you see above. They’re fun and easy to assemble. 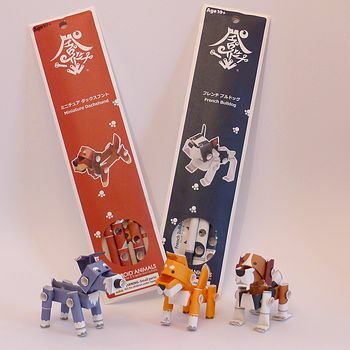 All you need is a pair of scissors and you’re ready to get creative transforming the paper tubes into your artsy, posable pup. 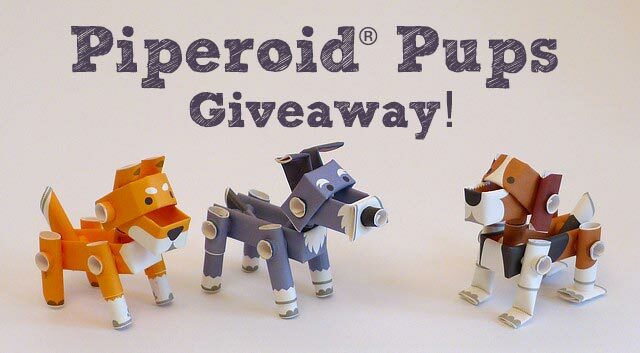 So, get ready to enter our Piperoid giveaway! Kids and adults alike enjoy putting these together and they make perfect stocking stuffers or gifts for the holidays. The Piperoid people have also created a collection of cats, as well as other characters including Hello Kitty and Hatsune Miku. My son and daughter-in-law gave me the beagle as a gift, but I couldn’t resist collecting all five of their delightful dogs and I’d love to share the French Bulldog and Miniature Dachshund with two lucky winners in a giveaway this week. It’s easy! 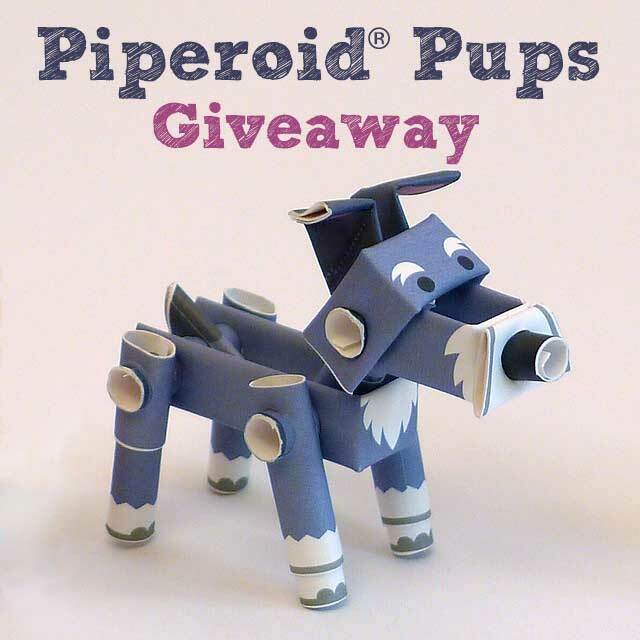 To enter the giveaway, just leave a comment below stating which Piperoid you would like to win, the French Bulldog or the Miniature Dachshund. 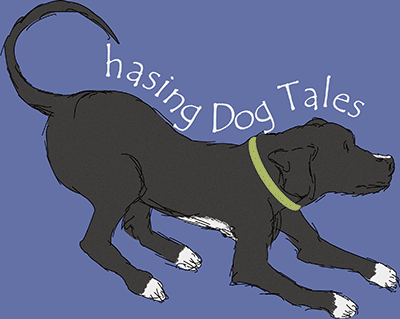 I’ll choose two winners at random (one for each dog) next week. Please Note: The giveaway is only open to people with a mailing address in the Continental United States. Update: The Winners! Congrats to Lindsay from ThatMutt for winning the French Bulldog and Jean from Welcome to the Menagerie for giving the Doxie a good home. I wish I had one for each person that entered but if you didn’t win, watch for Haley’s Holiday Gift Giveaway coming up next month! LOL! They are pretty funny. My mom misses going to Japan and seeing all the fun/odd things they have! In her previous life she was a flight attendant and flew mainly to Asia. She figured in an average year she spent about a month in Japan. Oh, my goodness–so cute, all of them! I’d love the French bulldog if I were to win 🙂 Thanks for sharing–following from BlogPaws. Those are so cute! I’d love that doxie. Actually, my mother would love it. She’s obsessed with those little cuties! These are adorable! They definitely would make great stocking stuffers. Thanks for sharing. Cute! I would like to enter to win the French bulldog! If I win, I will give it to my dad for Christmas because he loves French bulldogs! Thanks! Those are so cute! Congrats to the winners! Those would make good stocking stuffers! These are fab, ordered some for stocking fillers! Those are adorable. I love the french bulldog but I’m like you, I would want all of them. Thanks, Ali!? They are super fun to put together and so cute.